I will fly to Papua Island tonight. The destination is the city of Manokwari, West Papua. According to google map, the distance between Jakarta and Manokwari is about 4,500 km away to the east. 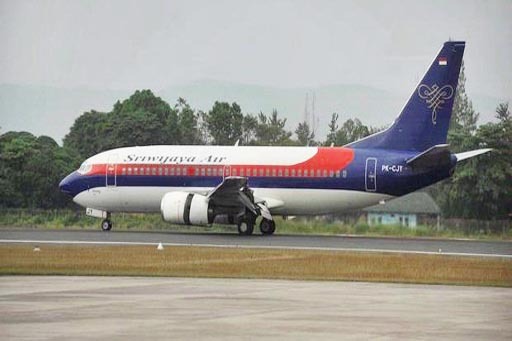 Tonight, my plane–Sriwijaya Air–will takeoff (inshallah) from Soekarno Hatta International Airport at 00.05 WIB–Western Indonesian Time, with Sriwijaya Air. There will be one time transit for the avtur at Sultan Hasanuddin International Airport in Ujung Pandang (Makassar)–my favorite airport in Indonesia. And then, 40 minutes later, we will take off again to Manokwari, and predicted will be arrive at the Rendani Airport, Manokwari at 08.45 local time (WIT–Eastern Indonesian Time, which is 2 hours faster than WIB). I have contacted the PNPM Mandiri Perkotaan office in Manokwari. Unfortunately, the Team Leader, one of my good friends since this program still named under P2KP or UPP (Urban Poverty Program) will not be there to welcome me. He’s on duty to Makassar. So, he left everything to Mr. Ari Paputungan, his Monitoring and Evaluating Specialist. Mr. Paputungan is also my good friend, eventhough we’re not often meet due to distance and busy schedules, but we are good team. Anyways, I will try to connect to internet and write a little about my days there. Otherwise, we will have to wait until Nov 22, it’s when I’m coming back to Jakarta.